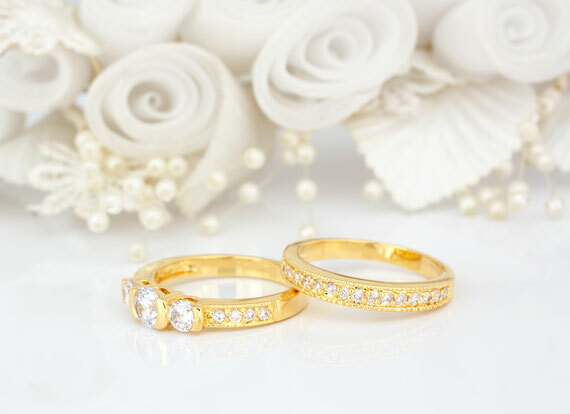 “An elegant wedding is timeless and traditional, even dignified and anything you wish it to be. Your Elegant Wedding Awaits! Perhaps you have chosen a well-known church setting, a winery, that fancy country club or favorite restaurant or a popular hotel or meeting hall. All of your friends and family are waiting to hear where the two of you will be wed and can’t wait to celebrate your new life together. There is so much to decide and plan and you are looking at the most reliable and trusted wedding planner in your area to help you will all the details. Should you do a formal sit-down dinner or keep it more casual? Who are the best caterers to use? Let your wedding planner give you recommendations for everything from food to flowers and your wedding cake, decorations and help you design the perfect ceremony. Who will perform your ceremony? Is it a trusted family pastor or priest or maybe one of you or your fiancé’s friends is getting credentials just to be able to conduct your ceremony. Are you planning on having all the traditional features like a Flower Girl and Ring Bearer or are you keeping your simple ceremony elegant but modern with some new traditions? Don’t forget to have your wedding planner give your wedding photographer a sequence of events and timeline so he or she can get the right pictures to memorialize your wedding day. You can concentrate on finding your perfect dress and choosing your favorite colors and attendants. 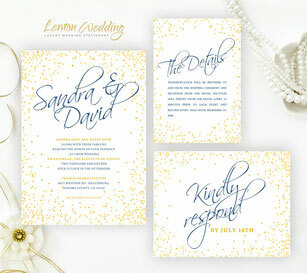 Lemon Wedding Invitations will design and provide your invitations, save the date cards or Detail Cards and RSVP’s to your specifications at the most reasonable prices and in record time. No matter where you live, we can provide all the necessities. Just provide us with a few details and let us make this one of the easier things to do. 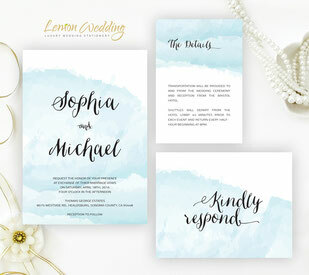 Read our customer reviews, then choose from our selection of simple wedding invitations, formal wedding invitations, traditional wedding invitations, classic wedding invitations, lace wedding invitations, or calligraphy wedding invitations. If you don’t see just the exact thing, please ask us and we will do our best to accommodate you with just the right choice. No matter what you choose, we guarantee they will be perfect. Choose from an array of colors and styles to fit your taste and dreams. Browse through our Lace and Damask Style, or Classic Black and White. 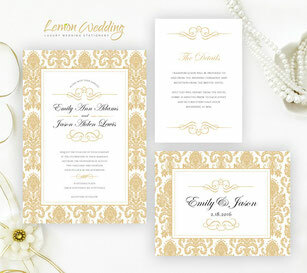 Choose your colors or styles such as the Great Gatsby or Watercolor Style or keep it simply elegant with Gold or Silver. 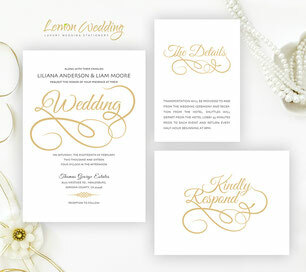 You may decide to go with the Calligraphy type face for that classic traditional look, and we can provide that for you. 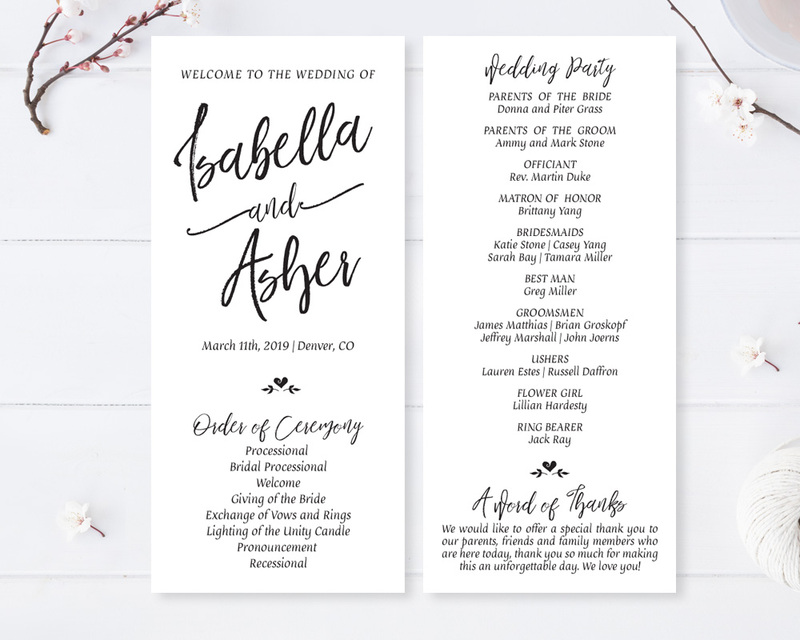 It is our desire and pleasure to make your elegant wedding invitations celebrate and highlight your wedding day as something you will cherish for the rest of your lives. Your special package of invitation sets, RSVP Postcards and Detail cards will be printed on the finest pearlescent cardstock and luxury papers. Everything is first class, just the way an elegant wedding should be. We can’t wait to get started on yours today. Browse through our selections and find your perfect choice. Let us make this one of the most fun and easiest choices you will make. 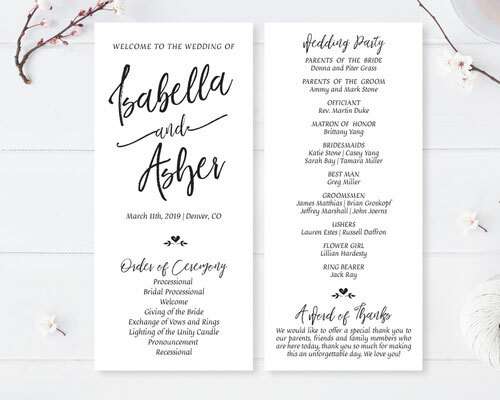 Your friends and family will be so amazed with the quality and professionalism of your invitations and cards and the outstanding results and presentation. We are so honored to be able to provide this exceptional boutique design service to our customers and cannot wait to have you among them. 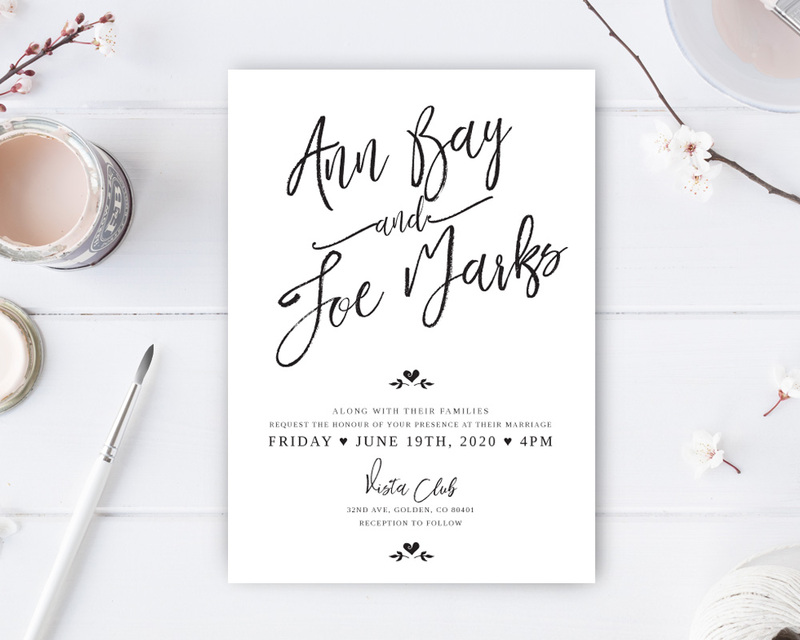 Our creative in-house designer is waiting to hear from you so the two of you can work together to create your perfectly elegant invitation. Let’s get started today! 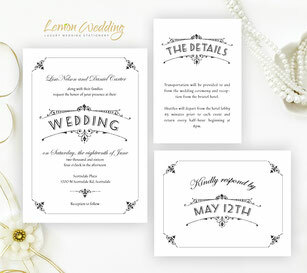 Classic wedding invitations, Traditional wedding invitations. beach wedding and how to plan it? 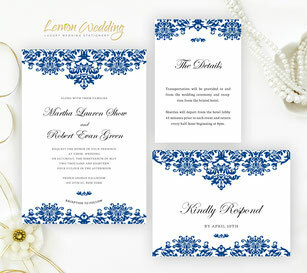 All our wedding invitations and stationery are designed in-house.